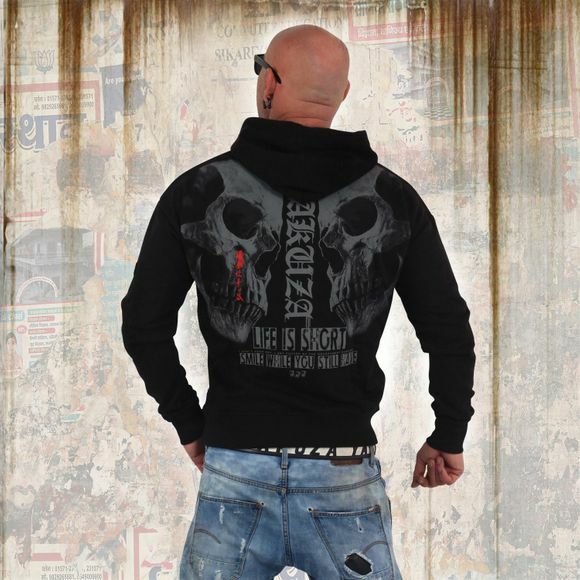 YAKUZA CHOCKIN VICTIM men's hoodie. This classic over-the-head hoodie features a drawstring hood as well as a contrasting panel on chest. Finished with vintage print designs and a Yakuza leather tab on side seam. Extremely comfortable to wear thanks to supersoft cotton. Please watch out for our size specifications and the washing instructions below.